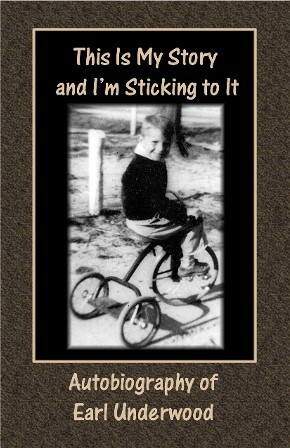 This Is My Life and I'm Sticking to It, the autobiography of Earl Underwood is available for purchase in softcover on Amazon.com. Serving our country in the United States Army Corps of Engineers in the Vietnam War, I learned to appreciate the value of hard work and integrity taught me by my parents. Using these principles I pursued a career in law enforcement that spanned over thirty years. Raising our children, my wife Sue and I tried to teach them strong moral values and an appreciation for family. Proudly, I believe we succeeded! I have written this book primarily for my family, hopefully giving them some insight into my life. As for my friends, and maybe a few family members, who thought you really knew me, you can now read the whole story. I sincerely hope everyone enjoys reading it as much as I enjoyed writing it. Anyhow, this is my story and I'm sticking to it!